Seljuq Brigade announcing its ascension into the Army of Revolutionaries, Colonel Talal Ali Sulo is reading the announcement. It would seem that the Army of Revolutionaries would represent a reorganization and consolidation of the democratic rebels in northern Syria. Many groups that joined after the initial announcement perhaps sought to align themselves with a strong moderate coalition in order to secure better foreign support, after all former affiliates of SRF and the Hazm Movement were involved and both of these groupings were favourites of foreign backers. However on closer inspection it does not seem that the Army of Revolutionaries was ever a foreign-backed project. The inclusion of YPG-aligned brigades such as the Kurdish Front and the Northern Sun Battalions means that Turkey (the main backer of the northern rebels) had no part in this, and based off their combat videos the Army never had any formidable weapons that could have been supplied from abroad. In fact most of their weaponry seemed sparse by even Syrian standards. They were never supplied TOW missiles by foreign backers either. Jaish al-Thuwar also stated they did not apply to join the American Train-and-Equip program because of the stipulation that trainees would only be allowed to fight ISIS and not the regime. Nonetheless the group released videos of them fighting against the regime in Aleppo City and the northern Homs pocket, as well as against ISIS in Mare’a in the northern Aleppo countryside, in Kobani and the northern Raqqah countryside. The Army controlled territory to the west of Azaz, bordering the YPG-held Afrin Canton. In an interview with Orient News the group claimed they also have a presence in the Rashidin district of Aleppo City, around Tel Malah in northern Hama, the Ghab Plains, and sleeper cells around the ISIS-controlled Manbij area. 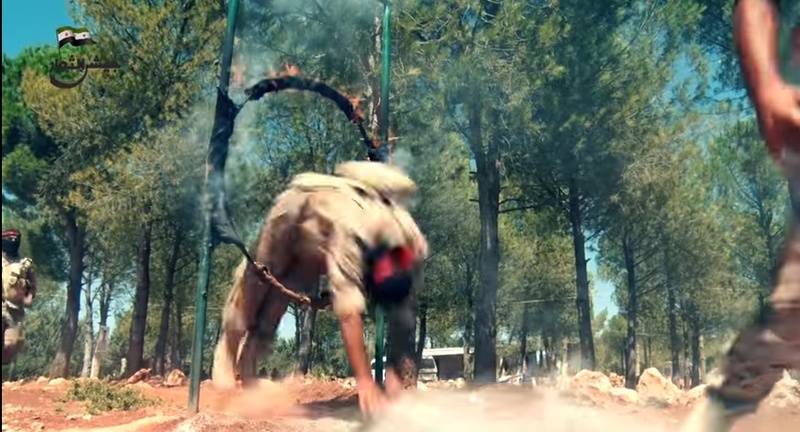 Jaish al-Thuwar training camp in northern Aleppo, with the ever-ubiquitous flaming hoops. The camp was named Martyr Abdul Razaq Ata Training Camp, after a Kurdish Front fighter killed fighting the Syrian regime. Today the Army of Revolutionaries exists as one of the Arab components in the Kurdish YPG-dominated Syrian Democratic Forces (SDF). Their main operations are within Rojava, namely the fronts against ISIS in Hasakah, Raqqah and Kobani. Judging by the lack of combat footage it would seem the grouping has minimal operations throughout the rest of Syria. 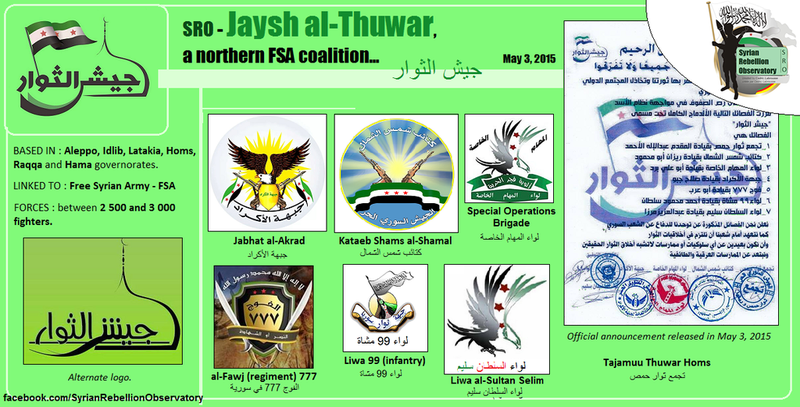 Indeed, many of it’s sub-components no longer affiliate themselves with the Jaish al-Thuwar logo, perhaps after realizing that this ambitious new project would not be gaining any traction nor would it secure foreign support. Another, more pressing reason, was that the Army of Revolutionaries later became embroiled in conflict with hard-line Islamist brigades such as Al-Nusra Front in Aleppo province, and former substituents would not have wanted to confront Al-Nusra. Jaish al-Thuwar was always a group closely aligned with the YPG (though it has denied this in official interviews, claiming to be against any project to divide Syria), and the YPG has always been seen with mistrust and suspicion by the Sunni Arab opposition. As such only components of the Army that found themselves in YPG-controlled territories continued using the name. For components in other parts of Syria, continuing to affiliate with the group, and by extension the SDF in a sea of distrustful brigades was not seen as the smart option. During the periodic tensions between the Afrin YPG and Al-Nusra Front, the Army of Revolutionaries (mainly it’s component Kurdish Front) sided with the YPG and actively fought against Nusra in the Afrin area. Soon after in July, when the US-trained and equipped Division 30 was sent into Syria and subsequently attacked by Al-Nusra, Division 30 members sought refuge with the Army of Revolutionaries and the Army once again fought against Nusra. Afterwards the Army disappeared from front lines in Syria as some groups that were with the Army quietly renounced their affiliation. Other substituents (such as the Kurdish Front) may have relocated to the Afrin Canton for protection (an idea even more compelling now that the Syrian Democratic Forces have been established), or simply disbanded/dissolved. Combat videos from the group or any of its substituents are sparse in the past few months, a major indicator as rebel groups are always eager to record and upload their various exploits to gain fame, recruits and support. 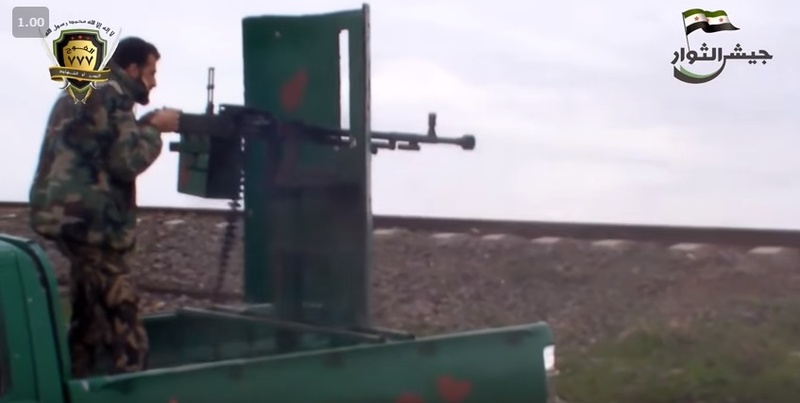 Regiment 777 of the Army of Revolutionaries operating a gun-truck against regime forces in the northern Homs pocket. Northern Sun Battalions (Kata’ib Shams al-Shamal): The Northern Sun Battalions are a small but well-known group due to their participation in the Battle of Kobani alongside the YPG. The group consists of Arabs and Kurds originally from Manbij and developed out of groups once affiliated with the Islamic Front’s Al-Tawhid Brigade. The group also joined the Dawn of Freedom Brigades (Alwiyat Fajr al-Hurriya), which has now gone defunct. The Northen Sun Battalions were also a founding member of the Euphrates Volcano (Burkan al-Furat) Operations Room, which was active in the Raqqah and Kobani countryside. As ISIS seized most of north-eastern Aleppo, the Northern Sun Battalions sought refuge in the Kobani Canton and fought to defend the city under the Euphrates Volcano banner. Once the tides had been turned against ISIS, the Northern Sun Battalions assisted the YPG in seizing Tel Abyad, Sarrin and much of the northern Raqqah countryside, being bolstered by local Arab recruits as a result. The Northern Sun Battalions captured Tel Abyad under the Army of Revolutionaries banner. The group is under the command of Raizan Abu Muhammad, and as part of the Syrian Democratic Forces the Northern Sun Battalions (continuing to use the Army of Revolutionaries Banner) participated in the Al-Hawl Offensive in eastern Hasakah province. 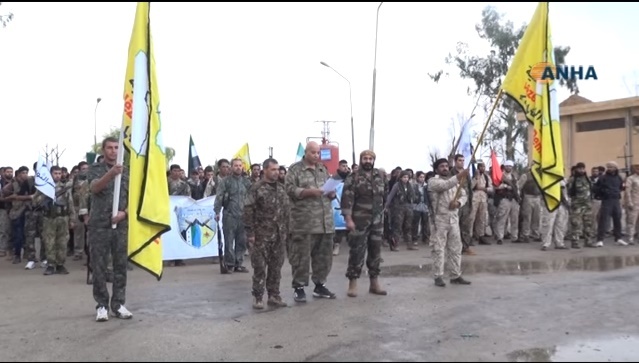 The Northern Sun Battalion was one of the founding members of the Manbij Military Council, a group that spear-headed the SDF capture of Manbij city and its countryside. Kurdish Front (Jabhat al-Akrad/Eniya Kurdan): The full name of this group is the “Kurdish Front Brigade to Protect the Syrian People”, it is an FSA group composed primarily of Kurdish fighters. At it’s height the group claimed 7,000 fighters though obviously that number has dwindled immensely as the Army of Revolutionaries only had 3,000 men combined at it’s height. The Kurdish Front is said to be an FSA brigade formed by the PKK and the YPG, to act as a liaison with the mainstream Arab rebellion. It operated primarily in the Kurdish villages in northern Aleppo, outside of the YPG cantons of Kobani and Afrin. It is due to these supposed PKK-links that the FSA leadership expelled the Kurdish Front from the Supreme Military Council in 2013. The group disappeared for a while, with its fighters perhaps being folded into the YPG or other brigades, though it returned in 2014 when the rebel war against ISIS first kicked off. The group now has a minimal presence in the northern Aleppo countryside adjacent to the Afrin Canton as well as in the YPG-held Sheikh Maqsoud district of Aleppo City. Small numbers of Kurdish Front fighters were also present in Kobani, and under the Army of Revolutionaries name they participated in the Tel Abyad and northern Raqqah battles, and continue to participate in the Al-Hawl Offensive in eastern Hasakah. It seems as of now the most active portions of the Army consist of the Kurdish Front. 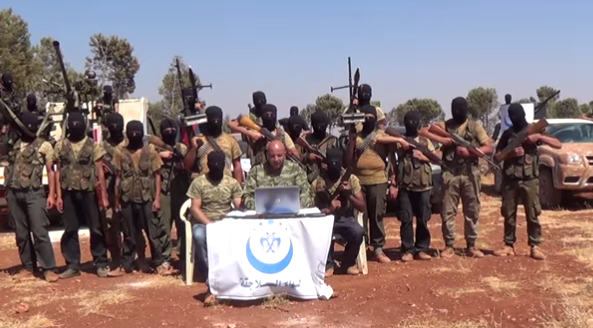 Seljuq Brigade (Liwa al-Salajiqah/Selçuklular Tugayı): A Turkmen brigade originally based in the northern Aleppo countryside. The group was formed in 2013 and at one point was part of a larger Turkmen grouping called the Suleyman Shah Brigade, which it later left. Seeing as the Seljuq Brigade has joined the YPG-dominated Syrian Democratic Forces, it clearly does not have a close relationship with Turkey like other Turkmen brigades do. The commander of this group is Colonel Talal Ali Sulo. Colonel Sulo has found himself in Rojava, where he was present in the SDF formation announcement, and also announced the SDF offensive on Al-Hawl. This does indicate that the Seljuq Brigade remains a component of the Army of Revolutionaries. However it is not known what has happened to the rest of his brigade in northern Aleppo, as they all cannot transport themselves to Rojava (as Turkey and ISIS-held territories are in between). Homs Revolutionaries Grouping (Tajammu Thuwar Homs): A minor group from the western ends of the Northern Homs pocket mainly concentrated around the Houla plains, commanded by Lt. Col. Abdul Illah al-Ahmad. This was one of the original founders of Jaish al-Thuwar. 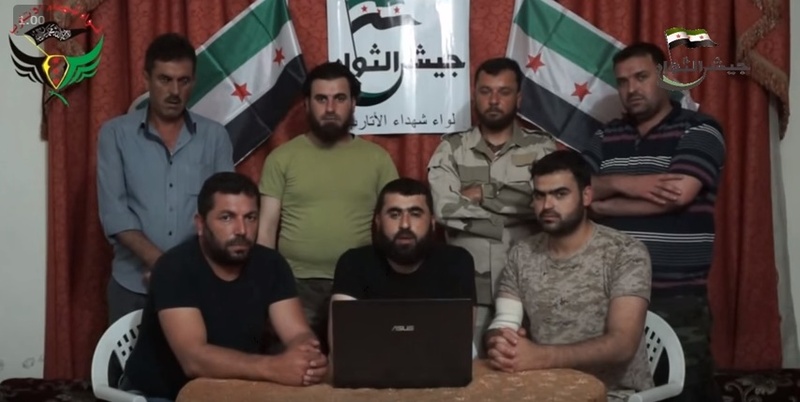 However, based off of their YouTube page the last video of theirs that included the Jaish al-Thuwar logo was in July, and subsequent videos have no reference to Jaish al-Thuwar. 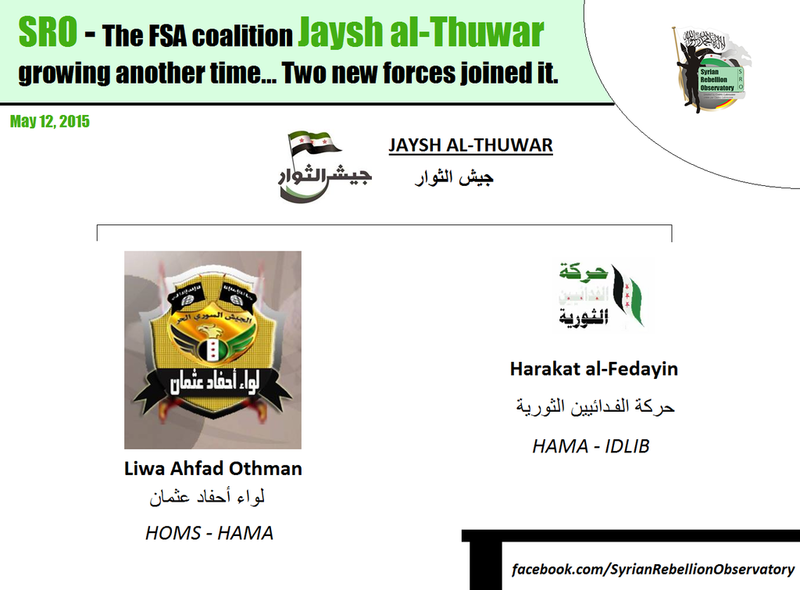 It is not known if the Homs Revolutionaries Grouping is still a part of the Army of Revolutionaries. 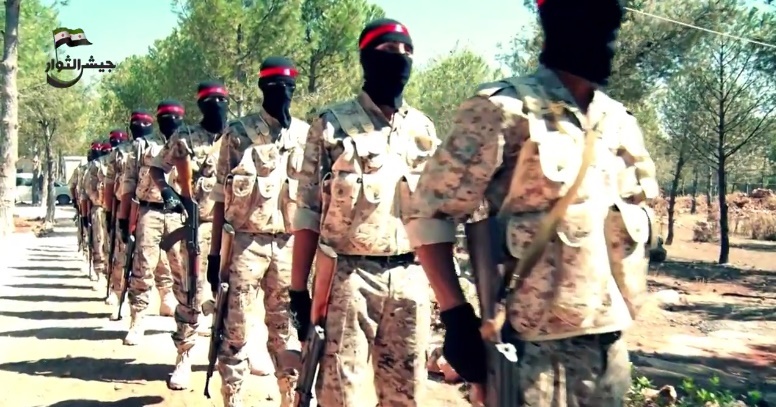 Special Operations Brigade (Liwa Maham al-Khassa): A group under the command of Abu Ali Birad. No footage of them has been released by Jaish al-Thuwar. Regiment 777 (Fawj 777): A former component of the Farouq Brigades, Regiment 777 at one time operated throughout Idlib, Hama and Homs. However today they are restricted to the northern Homs pocket and the rebel-held Waer district of Homs City. The group is under the command of Abu Arab. It is unknown if the Regiment is still a part of Jaish al-Thuwar. 99th Brigade Infantry (Liwa 99 Masha’a): A former component of the Syria Revolutionaries Front (SRF). The Army of Revolutionaries has emphasized quite a bit that it is not at all affiliated with the SRF or with Jamal Marouf, its commander. The 99th Brigade Infantry operated mainly in Idlib province. Despite being included in the formation statement, no footage of the 99th Brigade operating at all has been released since the SRF collapsed. The group is under the command of Ahmad Muhammad Sultan. When the SDF announced its formation in Idlib and Aleppo provinces, the 99th Infantry Brigade were listed separately from Jaish al-Thuwar. Sultan Selim Brigade (Liwa Sultan Selim/Sultan Selim Tugayi): One of the Turkmen component brigades of Jaish al-Thuwar, the Sultan Selim Brigade operates in Latakia province, around Jabal al-Turkman (Turkmen Mountain). It is commanded by Abdul Aziz Marza. Once again, combat footage, photographs or even social media posts about Army of Revolutionaries activities outside of Rojava are almost non-existent for the past few months so it is unknown if the Sultan Selim Brigade still operates or is still a part of the Army. Revolutionary Fedayeen Movement (Harakat al-Fedayeen al-Thawriyah): A group from the northern Hama countryside that briefly joined the Army of Revolutionaries. The group left later on as it was included as a part of the FSA Army of Victory Operations Room (Jaish al-Nasr) without any reference to Jaish al-Thuwar. When the Army of Victory coalesced into a single faction, the Revolutionary Fedayeen Movement wasn’t included and instead later folded into the FSA Central Division (Al-Forqat al-Wasti), a CIA-backed TOW-fielding group in northern Hama. Martyrs of Atareb Brigade (Liwa Shuhadah al-Atareb): A group based in the western Aleppo town of Atareb, it was one of the founding members of the Aleppo Conquest (Fatah Halab) Operations Room. It is a small brigade numbering in the low hundreds, and was once a member of the Farouq Aleppo Brigades. This group was founded by Lieutenant Murshed al-Khalid who later went on to command the 9th Division and was also an important commander in the Hazm Movement. It was one of the brigades involved in ousting ISIS from the western Aleppo countryside.The Martyrs of Atareb Brigade joined the Army of Revolutionaries soon after its founding, and several months later it dropped all reference to the Army of Revolutionaries logo in its videos. As such the Martyrs of Atareb are no longer affiliated with Jaish al-Thuwar. As of mid-2016 the Martyrs of Atareb Brigade had joined the Army of Mujahideen, a prominent FSA group in the Aleppo province. Descendants of Othman Brigade (Liwa Ahfad al-Othman): Another group from the northern Homs pocket, based around the Houla plains area. It is named after the Caliph Othman, the third Caliph. The goup was only briefly affiliated with the Army of Revolutionaries, and when the Houla Operations Room was established the Brigade was included without any reference to the Army of Revolutionaries. Brigade 313 – Free Men of Aqrab (Liwa 313 – Ahrar al-Aqrab): Another group from the Houla region in the northern Homs pocket. It also operates in the southern reaches of the Hama province (as the Homs pocket extends slightly into Hama). They are based in the town of Aqrab and briefly were a part of the Army of Revolutonaries. However when the recent Houla Operations Room was announced,, Brigade 313 was listed without any reference to the Army of Revolutionaries. The Martyrs of Atareb Brigade joining the Army of Revolutionaries. They no longer affiliate themselves with the Army. Colonel Talal Ali Sulo of the Army of Revolutionaries’ Seljuq Brigade announcing the Syrian Democratic Forces’ offensive on Al-Hawl in Hasakah province. Sulo is now the spokesperson for the SDF. In conclusion, Jaish al-Thuwar only ever included small minor brigades. Many of them do not seem to be active any longer and the only Jaish al-Thuwar presence on the battlefield these days seems to be the front lines with ISIS as part of the Syrian Democratic Forces. Its forces in Idlib or Latakia have not released any combat footage in months and whatever minor presence it has in the Homs pocket also has not been seen for several months as well. Jaish al-Thuwar components in the northern Aleppo countryside also have not been active recently and may have relocated to the Afrin Canton. It looks as if this group’s future only lies with the Syrian Democratic Forces.